Obituary for Theodore Haehle | Fox Funeral Home, Inc.
Theodore C. Haehle, 90, of Saxonburg, passed away on Sunday, April 14, 2019 at the Good Samaritan In-patient Hospice surrounded by his family. Born March 17, 1929 in Philadelphia, PA, he was the son of Theodore C. Haehle and Margaret Kilpatrick Haehle. He worked at the Gulf Oil Refinery Lab for in Philadelphia for 13 years and for 22 years at the Gulf Research & Development Company in Harmarville . He retired from Gulf in September 1982 at the age of 53 after 35 years of services. Pat served in the US Navy during the Korean War. He served on the Vestry at St. Thomas in the Fields Episcopal Church in Gibsona and St. Peter Episcopal Church in Butler. He was also Vice President at SEBCO Pool for 3 years, a member of the Saxonburg Volunteer Fire Company, working in the kitchen at fish dinners and weddings. 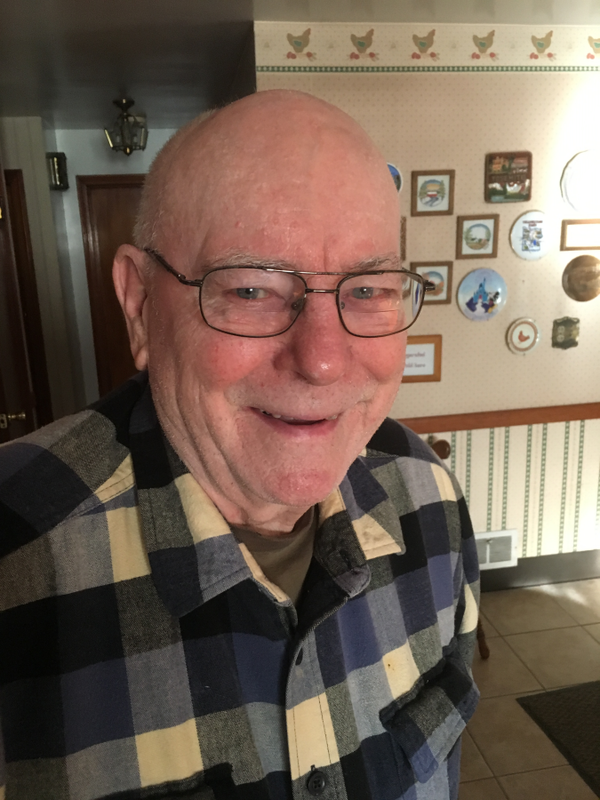 He was also active in the kitchen at the Saxonburg Memorial Presbyterian Church and participate in the Men's Breakfast there for many years. He coached the Little League Indians from 1969-1972 and coached Knoch High School midget basketball from 1971-1978. He grew grapes and made his own wine for 35 years. Surviving are three daughters, Linda (Nick) Haehle Gurner of Butler, Judy (Doug) Haehle Farney of Saxonburg and Joyce (Jim Saeler) Haehle Byers of Saxonburg, his son, Thomas C. (Amy) Haehle of Lincoln University, PA, 8 grandchildren, Joe (Gabriela) Gurner, Nicole McChesney, Bryan (Nicole) Farney, Katelyn (Rob) Jahn, Andrew (Hali) Farney, Erin Haehle, Jessica (Dave) Haehle and Kevin (Holly) Haehle, 11 great grandchildren, Olivia, Austin, Madison, Taylor, Aiden, Emaleigh, Jack, Noah, Mason, Olive and one on the way, Tessa. He is preceded in death by his parents, his wife Elva I. Haehle, on March 12, 2012, his infant sister Margaret and his grandson, Troy. Friends will be received on Friday, April 26, 2019, from 10:00-11:00 am. at the Saxonburg Memorial Presbyterian Church. A memorial service will follow at 11:00 am with Rev. Doug Dorsey officiating. There's still time to send flowers to the Visitation from 10:00 AM to 11:00 AM on April 26, 2019.